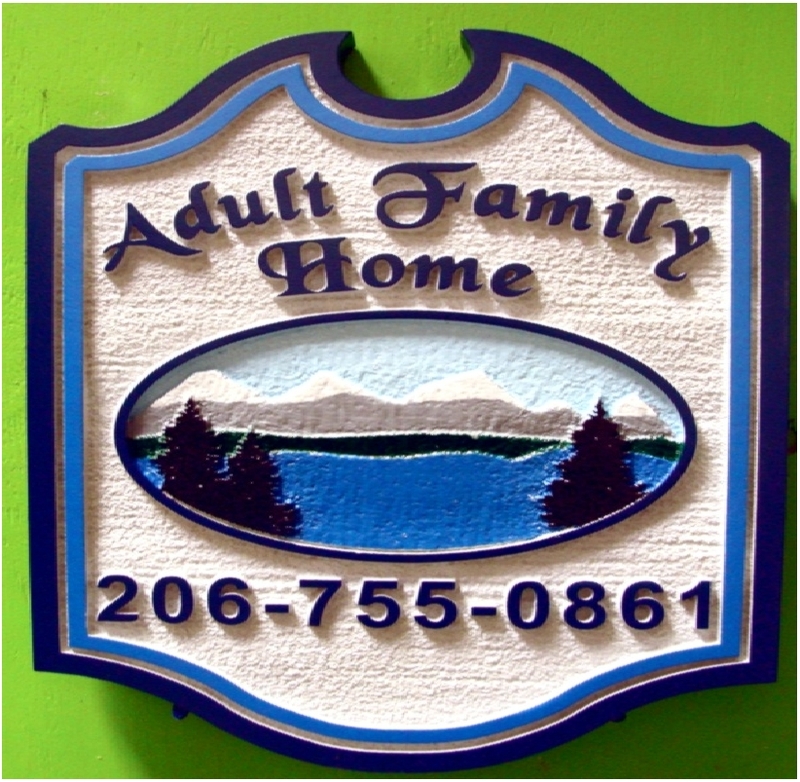 Above is a photo of a property name sign "Adult Family Home"" that features a stylized scene of a lake, mountains, and trees. Four depths of 2.5-D flat relief have been carved into the HDU material . The outer border, text, and scene are elevated at various levels. The entire sign has been lightly sandblasted in a sandstone texture. After painting by an artist, the sign is clear-coated twice for additional UV and weather protection. This sign can be mounted on a door, an adjacent wall, a gate, on a metal or wood post, or hung from a wood or iron hanger.